The Trump administration plans to spend 90% less on advertising to get people to sign up for Obamacare than former President Obama did last year. The administration will spend $10 million on promotions during open enrollment season this fall, compared to $100 million a year ago, the Centers for Medicare & Medicaid Services, which administers Obamacare, said Thursday. It will focus on radio and digital ads, as well as email to existing enrollees. At the same time, it is cutting funding for so-called navigators -- who help people sign up for coverage -- by 41%. The 98 navigator groups will receive a total of $37 million for the coming enrollment season. With Congress' effort to repeal and replace Obamacare on hold, all eyes are on whether the Trump administration will work to stabilize or undermine the health reform law. President Trump has repeatedly said Obamacare is dead. He has raised questions about whether he will try to dismantle the law by discontinuing funding for a key set of subsidies or weakening enforcement of the individual mandate. Another wild card is how the administration will handle open enrollment, which this year will run from November 1 through December 15 -- half the length that it did under Obama, who actively promoted the sign-up period. Trump officials had been largely silent about their plans until now, though they have repeatedly said the law is failing Americans. The administration justified the budget cuts by saying it was basing advertising on effectiveness and performance. Democrats and Obamacare supporters quickly decried the move as sabotage. CMS officials pointed to the fact that the agency spent about $100 million last year and 9.2 million people signed up for coverage through the federal exchange, healthcare.gov, for 2017. In 2015, the agency spent $51.2 million and 9.6 million Americans bought policies. Officials stressed that there was a 42% decline in first-time enrollees. The administration is also revamping the navigator program after more than three-quarters of the grantees failed to achieve their enrollment goals, officials said. This fall, navigators will receive funding based on their meeting their targets. For instance, a grantee that enrolls only 30% of its goal will receive no more than 30% of its funding from the previous year. Navigators signed up roughly 81,500 people in 2016. "Judging effectiveness by the amount of money spent and not the results achieved is irresponsible and unhelpful to the American people," said Caitlin Oakley, press secretary for the Department of Health and Human Services. "A health care system that has caused premiums to double and left nearly half of our counties with only one coverage option is not working. The Trump administration is determined to serve the American people instead of trying to sell them a bad deal." Advertising and outreach, however, are seen as critical to maintaining and boosting Obamacare enrollment. 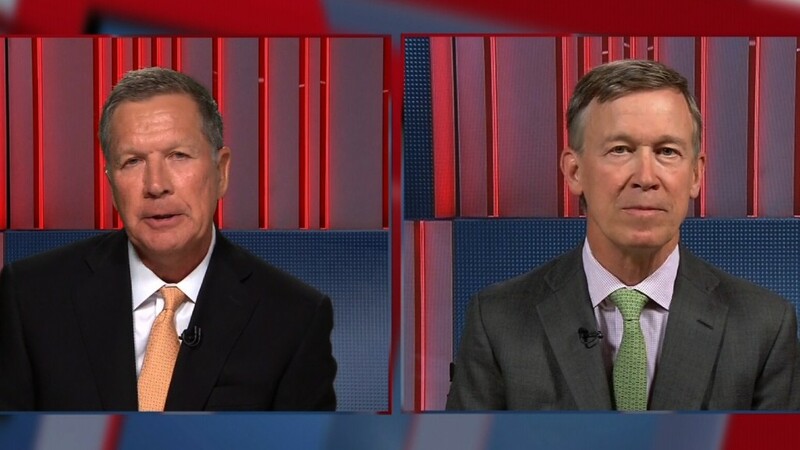 In fact, a bipartisan coalition of governors -- led by Republican Governor John Kasich of Ohio and Democratic Governor John Hickenlooper of Colorado -- on Wednesday urged the administration to continue to fund outreach and enrollment efforts. In particular, it helps attract young and healthy consumers who may not feel they need coverage. The sick, who are eager to secure insurance, are more likely to know where to sign up. Cutting ACA outreach will result in fewer people insured, and those who fail to sign up will be the healthiest. That will push premiums up. This is not the first time the Trump administration has pulled advertising for Obamacare. It halted up to $5 million worth of ads just days after taking office in January. The campaign was intended to alert consumers to the end of the 2017 sign-up period on January 31. Outreach is considered critical in the final days of the enrollment period to remind consumers -- particularly younger ones -- of the deadline. Sign ups typically surge during this time.